This week the topic is…Top Ten Childhood Characters You’d Love To Revisit As Adults. Or you could pick 10 characters and guess what you think they’d be doing in 10 years or 20 years. There were a few different options for this week’s topic but I decided to do characters that I’d like to check up on ten years later. Peter Pan and Wendy: Is Wendy married? Does she still think about Peter Pan? Is Peter Pan still in Neverland? There have been quite a few versions of what may have happened to Peter and Wendy but none of them have satisfied me thus far. The Pevensies (Narnia): Did Susan and Peter ever return to Narnia? Or maybe they had children (not together of course…now that would be a different kind of story altogether) and they somehow ended up in Narnia? There is always room for more Narnia stories in my mind. Winnie & Tuck (Tuck Everlasting): Did Tuck ever find love? Did Winnie ever go back to the immortal spring? Did she get older and change her mind? 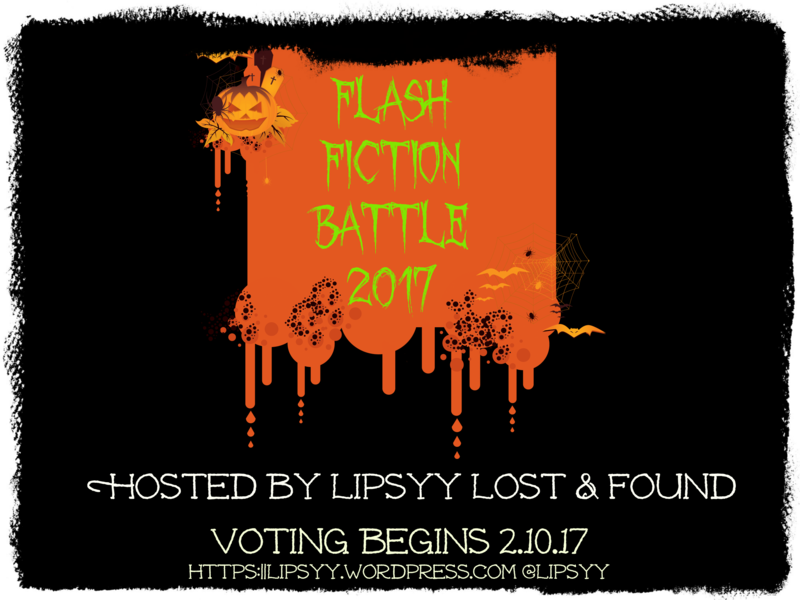 Bella & The Cullens (Twilight): Where do Bella & Edward settle next? Do they get jobs or go back to school? Do they ever argue? Does Carlise ever do anything wrong? Does Jasper crack a smile? ALL THINGS I THINK ABOUT. LOL! Katniss (Hunger Games): Where you at, Katniss? Please tell me you left ugh-Peeta and went to find Gale. Your children will understand, they’re probably Gale’s anyway, amiright? Melinda (Speak): I’d love to see what Melinda gets up to after high school. Is she able to enjoy her life? Is she stronger for what she went through? Does make friends? Jack (Room): Similarly I’d like to know how Jack got on after his traumatic childhood. What was he like as a teenager? Was he able to live a normal life? Ari & Dante: Oh how I’d love to check up on these guys 10 years on. Are they still together? They have to be, right? I’m struggling to think of more…that’s enough book-dreaming for now methinks! Who would you like to check up on ten years later? R.L. Stine has built his legacy on scaring children and teenagers. Now he’s back with another spine-tingling tale of horror in this new Fear Street book about temptation, betrayal, and fear. Eddie and Emma are high school sweethearts from the wrong side of the tracks. Looking for an escape their dreary lives, they embark on an overnight camping trip in the Fear Street Woods with four friends. As Eddie is carving a heart into a tree, he and Emma discover a bag hidden in the trunk. A bag filled with hundred-dollar bills. Thousands of them. Should they take it? Should they leave the money there? The six teens agree to leave the bag where it is until it’s safe to use it. But when tragedy strikes Emma’s family, the temptation to skim some money off of the top becomes impossible to fight. There’s only one problem. When Emma returns to the woods, the bag of money is gone, and with it, the trust of six friends with a big secret. This is the second of the new Fear Street books I’ve read and I’ve thoroughly enjoyed them both. Can you Keep a Secret? was a bit on the tamer side as far as the horror element is concerned, but it made up for it with an intriguing mystery. Emma, her boyfriend Eddie and four friends find a briefcase full of money in the woods and they agree to keep it hidden and then share it when they feel any danger or chance of exposure may have passed. But can they trust each other? When the inevitable happens and the money goes missing Emma and Eddie don’t know who to believe, and to make it worse they’re pretty sure the people who hid it in the woods in the first place are on their tails. It’s not long until they realise just how out of their depths they really are. I enjoyed the thriller-aspects of this story, and as a result the pages flew by. The scarier elements that you would expect from a Fear Street novel came from nice touches like Eddie working in a Pet Cemetery, and Emma’s debilitating nightmares about wolves which get worse as the tension mounts. As always, R.L Stine’s writing feels effortless and is easily relateable. Like his other books they have just enough violence, suspense and and horror to keep you interested whilst remaining suitable for all ages. I would have liked Can you Keep a Secret? to have been a little darker, however. Disclosure? Nope, it was a Christmas gift. Hans Christian Andersen’s magical tale of friendship and adventure is retold through the beautiful and intricate illustrations of Finnish-English illustrator Sanna Annukka. Cloth-bound in deep blue, with silver foil embellishments, The Snow Queen is a unique work of art. Sanna Annukka is familiar to many from her collaborations with Marimekko and her artwork for Keane’s album, Under the Iron Sea. For her second book project, she illustrates Hans Christian Andersen’s classic fairy tale, The Snow Queen. This edition of The Snow Queen is absolutely beautiful, complete with Scandinavian style illustrations. I was always more of a Grimms gal than an Andersen one, but this has made me think that perhaps I’ve been missing out. I didn’t expect Andersen’s fairy tales to be dark and twisted, but I was pleasantly surprised to see that one certainly has an edge to it. The Snow Queen has had a lot of interest since Frozen was released, being the text that inspired it, but the similarities are relatively small, and the links often tenuous. The Snow Queen is about the friendship between a young boy and girl, Kay and Gerda. When Kay is infected with icy evil from the shards of shattered magic mirror he changes, becomes mean, and is taken by The Snow Queen. Despite his recent behaviour, Gerda’s love for Kay never falters, and she sets out on a dangerous journey to rescue him meeting a variety of strange characters on the way. The themes of unconditional love and sacrifice, along with the stunning Scandinavian winter landscape are what clearly inspired Frozen, but don’t expect much more of a connection than that. I enjoyed this story, but I loved the illustrations more. It’s a lovely book for a gift. Arrows of Darkness is the second book in the Word of Arcas fantasy series aimed at children and young adults. I reviewed the first book, The Hunter, The Bear and The Seventh Sister on this blog back in January 2014 and described it as ‘an amalgamation of all my favourite childhood reads’. 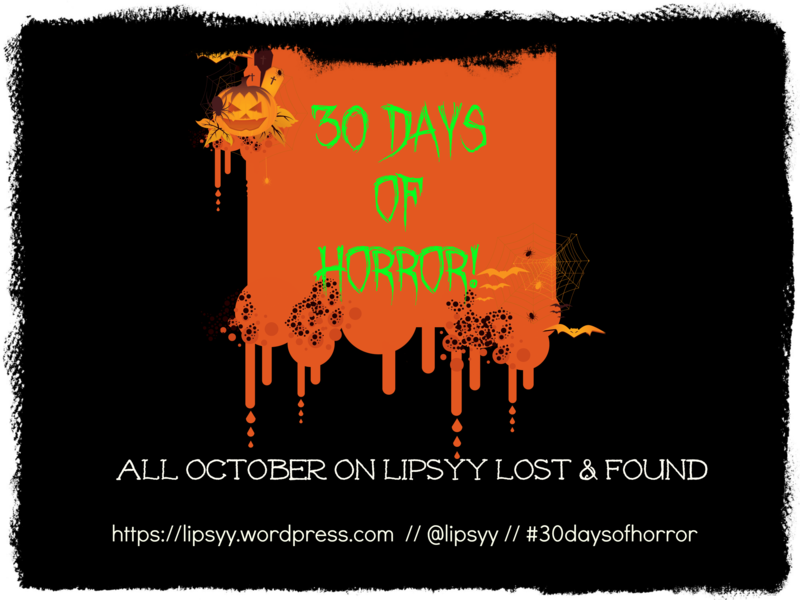 The lovely and talented authors, Ila and Ben also wrote a great guest post for me a few months after that, and so I’m delighted to welcome them back to Lipsyy Lost & Found once more. 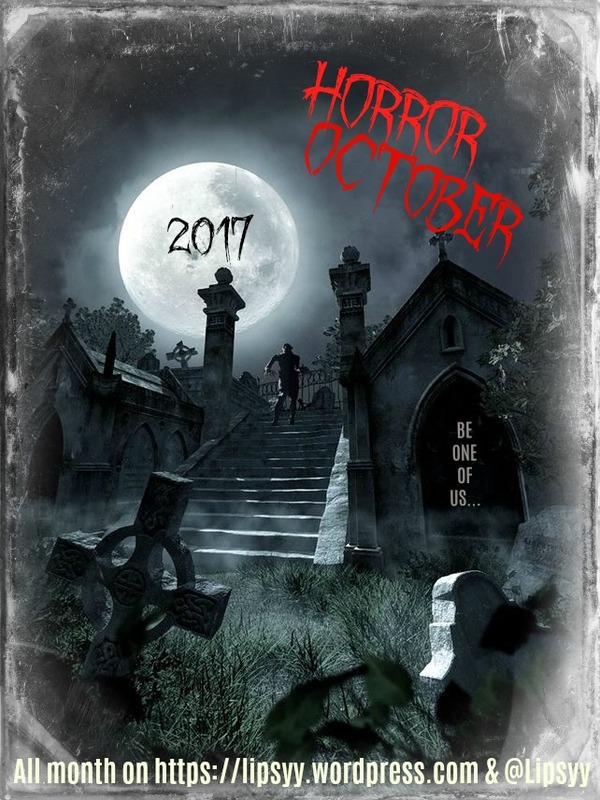 After reading the synopsis for Arrow of Darkness, I think it’s fully acceptable to include this in #HorrorOctober, it certainly sounds a lot darker than the first book, and would be a great read for children and young adults who like their adventures with a sprinkling of horror and scary creatures. From nasty orcs and a greedy dragon in Middle Earth to fluting fauns and a brave mouse in Narnia, fantasy worlds are full of interesting creatures! We love that the World of Arcas is also bursting with fascinating, strange, and terrifying creatures. In The Hunter, the Bear, and the Seventh Sister, its immediately evident that Jackson has entered another realm when the white-winged Cygnus grabs him mid-air in the bright triune sunlight and safely lands him next to the little cabin in Starling Forest. After escaping the talons of a freakishly large black raven, Jackson then meets Otava. He’s a furry, talking brown bear inspired by Usra Major (the Great Bear in the night sky) and named from the Finnish word for the constellation. Though Otava is powerfully strong and well-armed with an arsenal of weapons, he’s also nervously paranoid, doesn’t like change, and loves cooking even more than his medieval artillery. 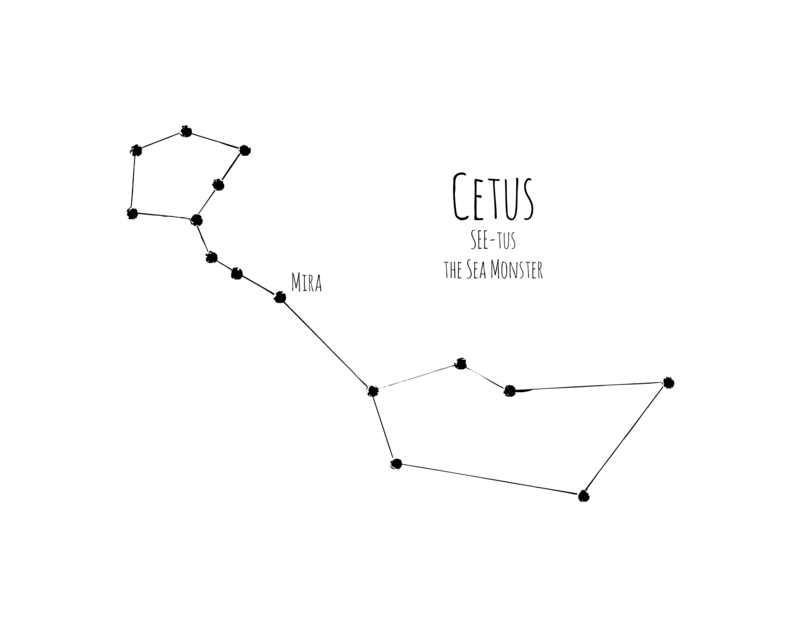 Since the Big Dipper is also part of his constellation, Otava’s favorite soup dipper likes to enter the story often as a quirky astronomy joke on the side. He’s our lovable, loyal, but not-so-huggable big bear friend. In Arrows of Darkness, we get to enjoy the talking bear-next-door again, but massive sea monsters dive into the story to shake things up. Cetus is the most famous and mystical watery monster in the Kingdom of Altair. Bridled and ridden by a duo of strange river nymphs, this translucent, whale-like creature randomly bursts through the surface and capsizes anyone in its way. His haphazard, destructive tendencies frighten most in Arcas from ever braving the water. So, if you like mystical, larger-than-life monsters and talking bears, stick around because the World of Arcas has only begun to unleash the stellar creatures within! Thanks so much to B.I Woolet and Xpresso Book Tours for letting me be part of this tour. This is a tour-wide giveaway in which you can win both books in the series in paperback (US only) or e-book (International). Good luck! Disclosure? Yep! I received an advance copy in exchange for an HONEST review. 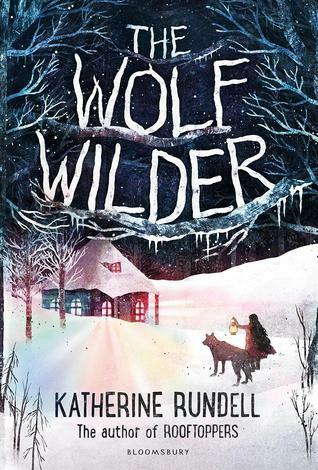 From appearance alone, The Wolf Wilder is everything I want in a book. The Wintery setting, a pack of wolves, revolution, and adventure…like, seriously everything, so I was pretty eager to start this. But I’m sad to say it wasn’t quite everything I imagined. It’s a really adorable story about Feo, who along with her mother is a Wolf Wilder out in the snowy wilderness of Russia. Wolf Wilders are almost like people of folklore, it is in their nature to help discarded domesticated wolves to revert back to their true nature, wild. There was definitely a lot to like about this book. The setting was beautiful, and the writing matched it perfectly. It was also a really quick read, which is nice, but it just wasn’t very exciting. If it wasn’t for the pretty setting and beautiful way Rundell has with words, I would have been truly bored. Such a shame! I also didn’t really get the whole Wolf Wilder thing. For one, the book wasn’t really about that at all, and secondly, Feo obviously wasn’t that great at it because her pack of wolves were tame to point where she and her new friend Illya (who has no experience with wolves) can even ride them. And I guess that was my main problem with this book – it just wasn’t believable in the slightest. I’d love to believe a 12 year old girl could start a revolution because the Tsar asked her to shoot her wolves, and that the Tsar would then become obsessed on finding her, this little girl. Bit weird. However, I did like the whimsical nature of The Wolf Wilder, and how strong Feo was as a protagonist; I think young girls will love her and she’s definitely a good character to look up to. It might work for the age-group it’s aimed at, but for cynical adults like me (apparently) the plot was just too far fetched. This book tries to give a real, important voice to children though, which I found wonderful. I’d love to see the illustrations as well, as they weren’t included in the advance copy – I’m sure they will make the book even more beautiful than it already is. Deep in the heart of a mist-shrouded island, an impossible secret is about to be discovered. Twig is used to feeling unwanted. Sent to live on a pony ranch for “troubled” girls on a misty, haunted island, Twig is about to discover the impossible — someone who needs her. Jolted awake from a bad dream, Twig follows the desperate whinny of a terrified horse out to the stables. There in the straw is a bleating little scrap of moonbeam. A silver-white filly with cloven hooves and a tiny, spiraling horn. I read the second book in this series last year (over-zealous Netgalley request fail) and really wanted to love it but I didn’t know what the hell was going on. After seeing my review, the author got in touch and asked if I wanted the first book to see how the story began – and it might have taken me a lonnnnnnng time to get round to it, but I’m so glad I did. 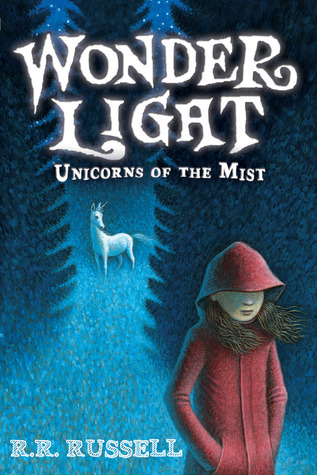 Wonder Light is the story of Twig who is on her way to a secluded, potentially haunted island to live on a pony ranch for troubled children following an unknown incident. Twig doesn’t expect to have a good time, fall in love with the ponies, or even make friends, but she does, and slowly she not only comes out of her shell, but also realises that she’s not a terrible person, in fact, she’s pretty cool. A lot of this is down to Ben, a boy who seems to appear and disappear into the mist. And that’s not the only strange thing going on; there’s a herd of wild, vicious horses out there…but are they just horses? I did have some issues with this book in the beginning, and I was worried that I would never get into it, but thankfully I did. Initially I found the world-building lacking and felt like some things should have been explained and described in more depth, especially considering the target audience, but this got much better as the book went on. I wish that we got to understand Twig a lot sooner – I felt like I didn’t really know her or her story until mid-way which was frustrating. I really loved her by the end though! From the cover, I was expecting this book to be kind of cutesy, but it’s really not. Wonder Light has moments of intensity, and even some scary ones. It’s full of action and felt like a real adventure. Sometimes however, it did feel like there was a lot going on. Good unicorns, bad unicorns, portals to another mysterious island, unicorn hunters, herders… I could go on! I loved that it had a bit of everything and I was really surprised by how dark it was in places. I actually think boisterous boys would love this, and would look up to Ben and Merrill, and girls will want Twig as a BFF and be entranced by the ponies, unicorns and magic. Something for everyone!